As I was strolling through my neighbourhood, I walked past some landscapers who were raking up leaves on the sidewalk. Seriously, I don't know how they do it without jumping in them, but what a fabulous job, lol. 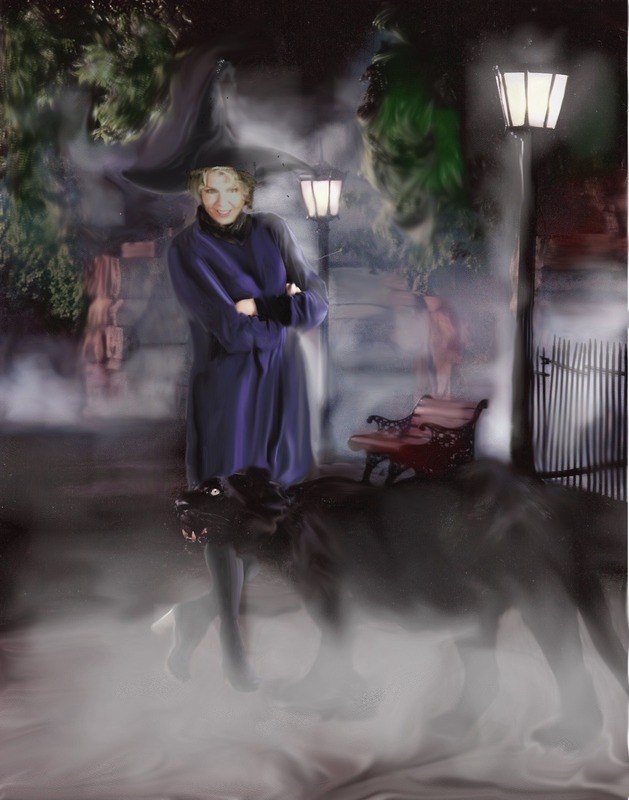 Today we have some Halloween poetry and art compliments of the very talented Victoria Danaan. 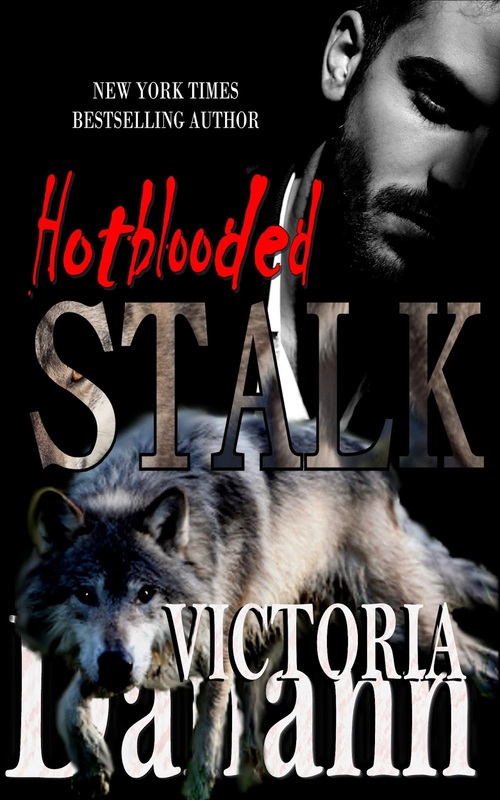 Read on to find out about her book STALK. “Alack for all your mother’s care! Tagline: Every breath you take. The first coming of chaos. Twelve thousand years ago, members of a more advanced race crossed into our dimension when the barriers temporarily collapsed. Trapped in our world, the aliens, who were also shifters, built structures that eventually caused the great flood and the sinking of Atlantis. Some of the alien DNA survived in progeny that carried an untraceable shifter gene, dormant until awakened by mating with a full blooded werewolf. Shortly after the incident, the event came to be known as May Day simply because it occurred on the first of May. The term would be forever after altered to represent the pandemonium that followed the dimension overlap that left so many stranded. It worked because it was a good choice because of disassociating the incident with high emotion. Some from other places were left here. Some that belonged here had disappeared and, even though every city had a centralized location where loved ones could post photos and leave flowers or burning votives, everybody knew somebody who had lost someone. And the world had been turned on end in the blink of an eye. The conventional wisdom about withholding news panic-inducing news from the public was bypassed. Cover up was impossible in this case and overnight, everyone knew that we experience reality alongside many others, invisible to us. Everyone also learned conclusively that other species exist in those realities. One of the species that had been stranded in this dimension were canine shifters, werewolves as they were sometimes called in fantasy. Being disinclined to panic, the werewolves, each individually, used their cunning to quickly assess their circumstances and determine what was required to survive. Utilizing their innate talent for strategy, and seduction, they were able to identify missing humans who were a reasonably close match to anthropoid bodies, were without families and were, basically, antisocial. Being shrewd as well as cunning, they made matches with candidates with financial assets. New lives could be built in a new world without money, but money could go a long way toward building walls of privacy and providing the one thing they needed most, after company, of course. That thing was territory. Freedom. The government made it almost too easy by publishing an open database of the missing and requested that corrections be made if someone listed was present and accounted for. Each shifter made his choice then notified the government that they were not missing. They were sorry for the misunderstanding, but had been sailing in the Caribbean or fishing in the Gulf or on an archeological expedition in the Amazon. By the time the dust of the catastrophe began to settle, seven shifters had found each other through a curious intersection of tech and primeval instinct. Each of the seven, while dealing with his own personal disorientation and sense of loss, quickly identified the Pacific Northwest as the most suitable habitat on the North American continent. Millions of acres of national parks and wildlife reserves was attractive. That, and the cooler temperatures, made the locale almost ideal as shifter temperatures run a full three degrees warmer than humans. It took only a few weeks to come across each other. Shifters in wolf form can cover great distances. In so doing they came across the scent of others who were similar to themselves if not identical, but definitely distinctive from wild wolves. And each felt immeasurable relief to find others. For social animals, abject solitude would be a sentence to hell. That was one of the reasons why Ken Sahabe was admitted to the pack without hesitation even though he was not a canine, but a spotted hyena. The pack decided Ken’s social and hunting needs were close enough and admitted him. The hard wiring of pack behavior hadn’t changed for millennia. However, the language used to describe certain facts of pack life was altered for modern times so that it seemed more politic. For example, rather than saying the alpha decided, which was true, the thought would be expressed as ‘the pack decided’. In Ken’s case, though the actual wolves didn’t have a real vote, they accepted him like one of their own species. New York Times and USA Today Bestselling author, Victoria Danann, has won the prestigious Reviewers’ Choice Award for BEST PARANORMAL ROMANCE SERIES the past four years in a row! Click follow to get notifications of new releases. 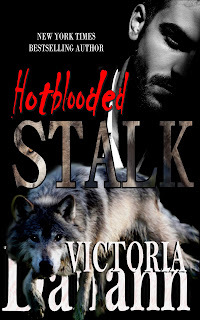 In addition to the brave and beautiful vampire hunting knights, Victoria writes other paranormal romances that often touch on scifi/fantasy along with contemporary bikers for those who love it when the bad boys are soooooo good. Victoria co-hosts the popular ROMANCE BETWEEN THE PAGES podcast which can be found on itunes or at www.romancecast.com. She and co-host, Riley J. Ford, interview the biggest names in romance every week. Ever wonder about the personalities behind your favorite books? Some of them just might surprise you with their interests, wit, lifestyles, and sense of humor. 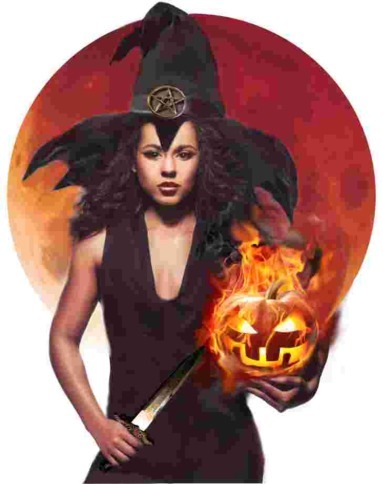 WITCHING HOUR: SINISTER LEGENDS Anthology! LAURA BICKEL'S BACK with PAWNED!